Solar Parts Components Factory can customized defferent solar mounting structure according to different requirements . Following is one instance which we help to design an adustable concrete ground PV module system for one Casablanca, Morocco client . 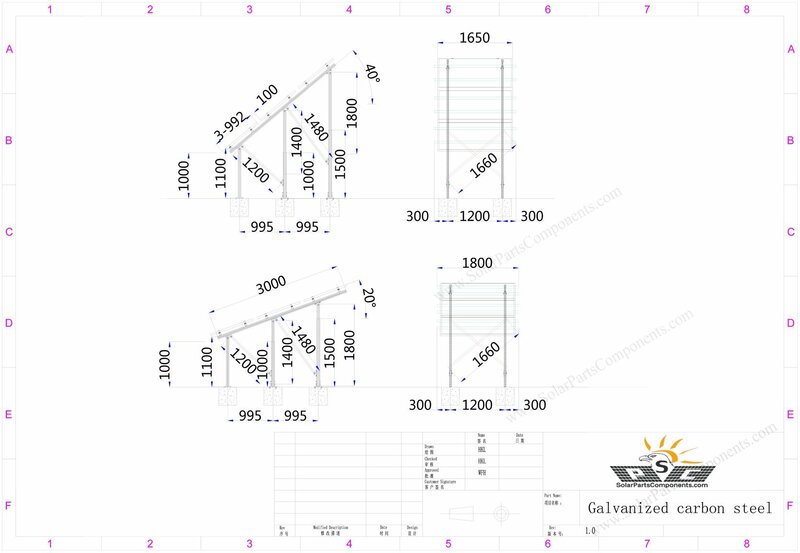 “I need a structure of 3 panels in landscape with an adjustable tilt between 20 and 40 degrees. 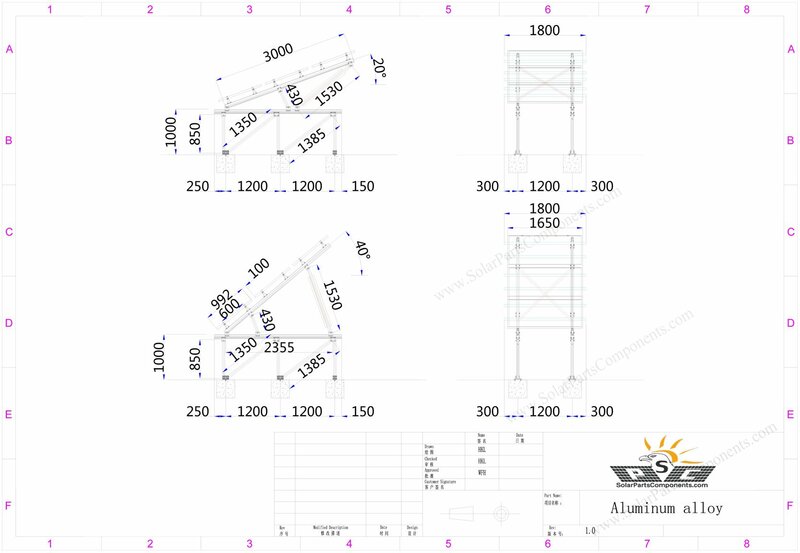 the structure must be fixed on 6 concrete bases with the dimensions: 40x40x40mm, and the distance between the ground and the bottom side of the panels is 1m. the attached image is a close representation of this structure but without concrete bases, it can help you understand our need. 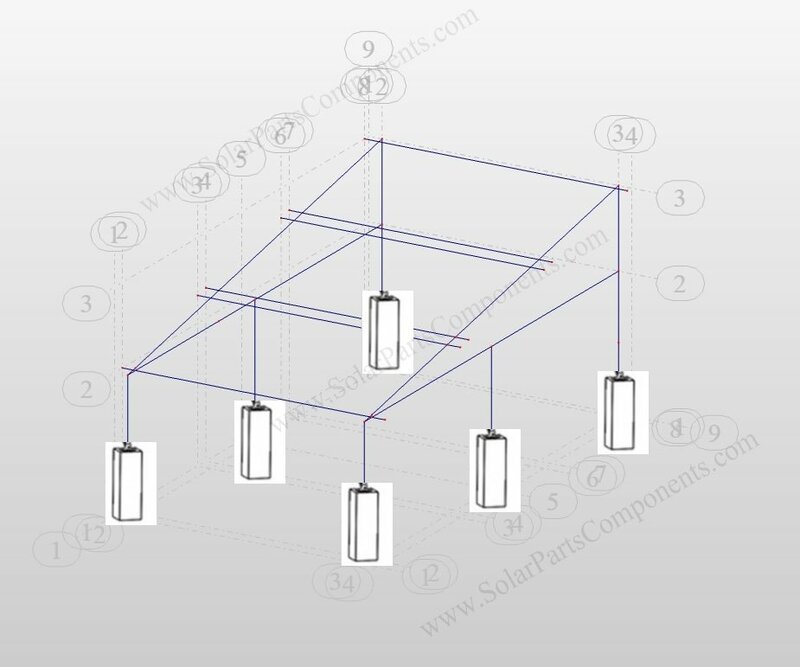 Welcome get more details from www.SolarPartsComponents.com for this adjustable tilt concrete base solar mounting system.